With the thread started a couple of days ago about pulling people out of the snow and the questions about which strap to buy i figured I would post this. 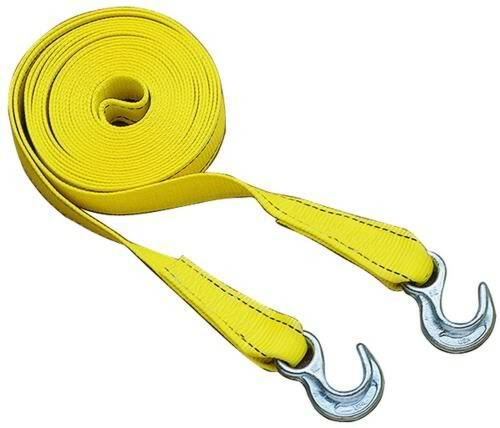 When reading a post on another forum about tow straps the other day someone posted a interesting article. The article shows why you don't use a clevis to attach to tow straps together. I also found a site that explains how you should connect them if needed. Remember never use a tow strap that has built in hooks at the ends as they can become a nice projectiles. 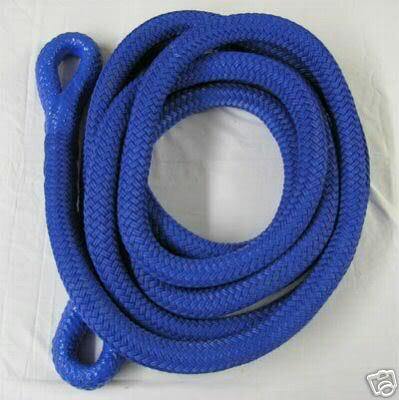 Always use a tow strap or rope with woven loops at each end and properly rated. 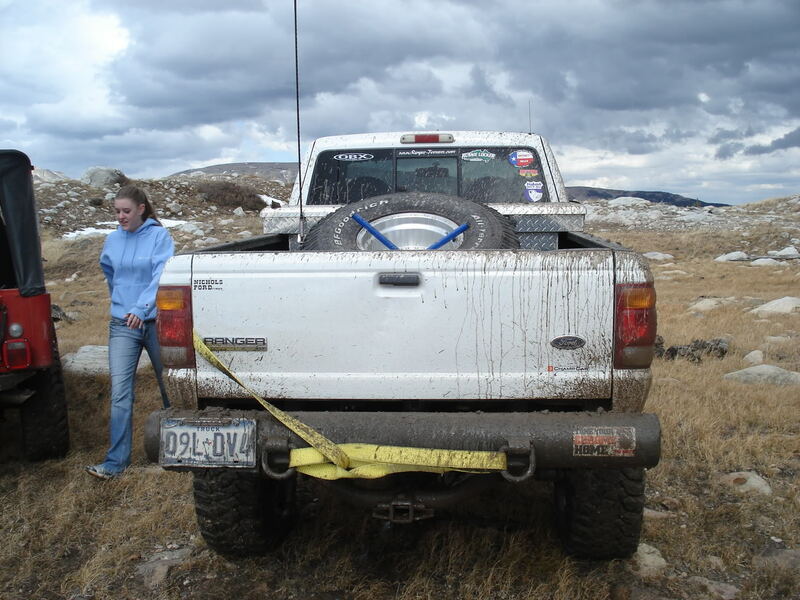 Also make sure that you use a secure place to mount the strap or rope to both vehicles. Last edited by casfz1; 12-06-2007 at 12:41 AM. so if you dont use a Clevis how are you supposed to do it? i have hooks on the front, and loops out back i feed it through both and rin it through itself, but on other peoples cars/trucks that dont have hooks what do u do? I personally have a strap with hooks on the ends, BUT i always have a full sized towel i keep in the rear storage bin things that i hang in the middle while making a recovery. Tho i do agree with the articles, but for the people who don’t have a shackle or easy way other then hooks, its a acceptable 2nd choice. Matt- using a clevis to attach a strap to a vehicle is fine, it is when you place the clevis inbetween 2 straps to connect them then it makes a dangerous situation. dont need you or anyone else here dead ok Sean.? Last edited by Redneckstone; 12-06-2007 at 12:52 AM. and i'll say it again.. 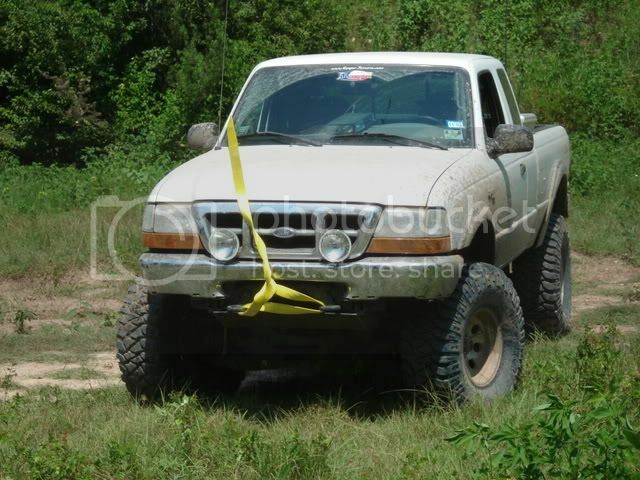 PUT A TOWEL OR JACKET OR SOMETHING LIKE IT OVER A LOADED WINCH LINE!!!!! at first i was like, how would that help? then i saw it in person and it really does just drop dead when it snaps. Zack some people just don't understand that those straps are not ment for vehicle recovery they are ment for towing a vehicle on flat ground. Also a 30,000 lb strap is more then enough for our truck. You want the strap to be able to stretch. For the winch line I like what Zack posted or a heavy duty bag loaded with weights placed over it. I have used a floor mate a time or 2 though. Last edited by 99ranger4x4; 12-06-2007 at 01:07 AM. Thanks for the info added Zack. I really think this should be a sticky. It will help alot of people out when making the decession to what strap to buy. If you don't want to pull just from one side of the truck then try and find a short tree saver to use and then attach the tow strap to the tree saver. Bill (04lvII) used that method and it held up just fine last year during our snow run. N/P Chad rather people be safe!!! DO NOT ...repeat DO NOT EVER use this as a form of recovery!!! next the pin on the clevis is not fully supported and there is to much stress on the pin..
Last edited by Redneckstone; 12-06-2007 at 01:13 AM. edit: never mind he changed the picture. u used what method, the one i have or using a tree saver off the truck? 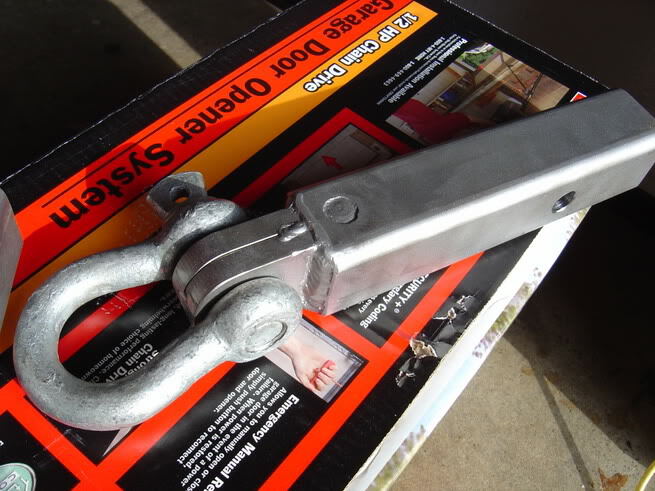 You take a short tree saver ( 2 to 3 feet long)and hook one end to a tow hook then slide the tow strap trough the tree saver then hook the other end of the tree svaer to the other tow hook. edit Zack you type faster then me.